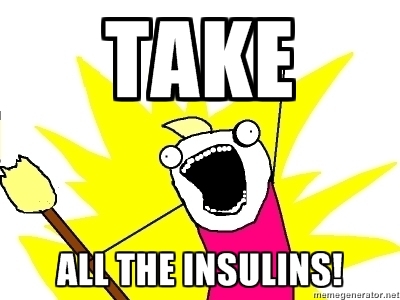 2 Responses to TAKE ALL THE INSULINS! Very brave, good sir. Way to go!